Then you'll be stuck having to correct them by yelling from your lawn, "Pardon me, but it is actually Dr. Frankenstein's monster." Not only will that be a hassle for you to do, some may see it as a bit rude as well. 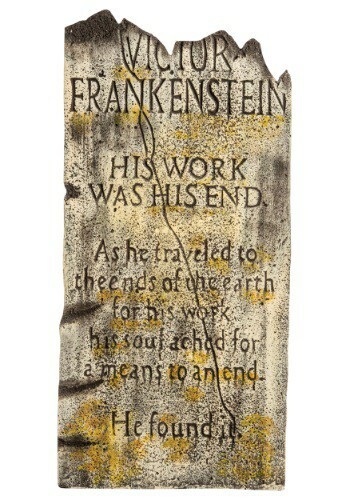 So to avoid that whole mess, one thing that you could do is set up this Victor F Tombstone up in your lawn. Many people will be thrown off by it and feel compelled to ask you about the decoration. It is then when you can properly educate your visitors about the true Frankenstein. 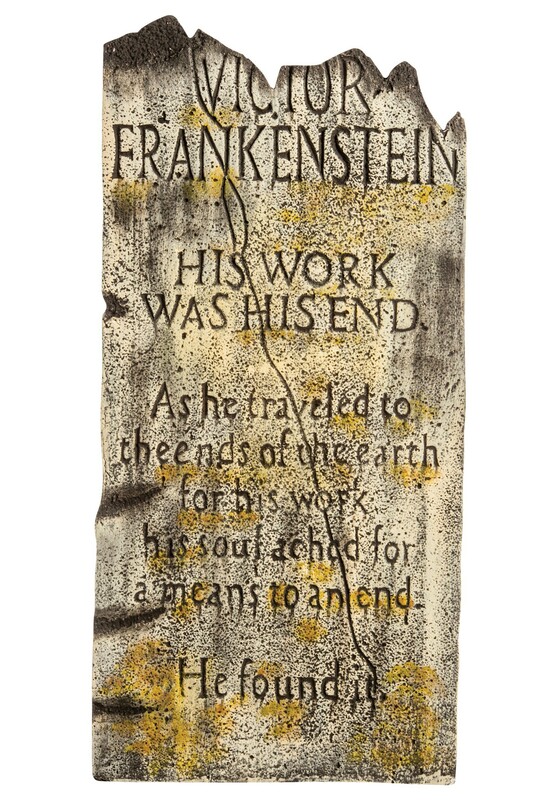 You can even explain what the engraving means, chances are you won't be spoiling the end of Mary Shelley's renowned novel for anyone who actually intended to read it.